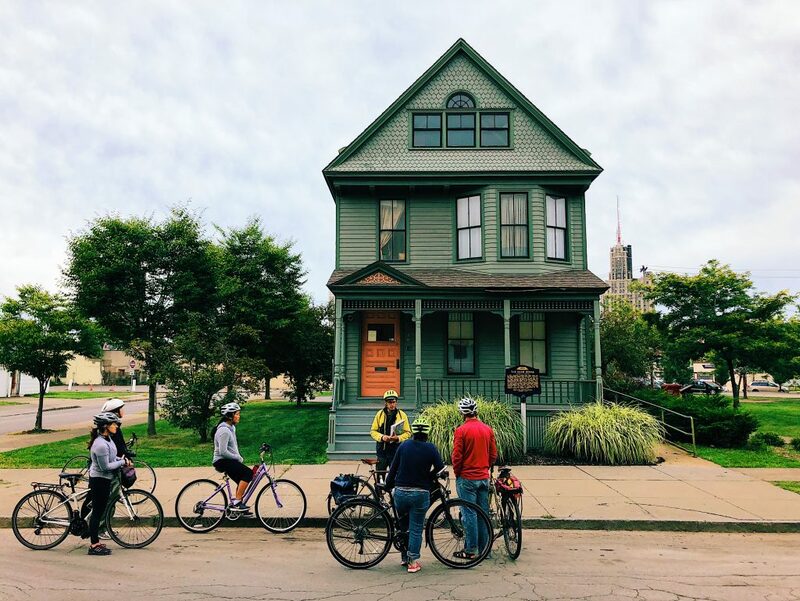 In Buffalo, there’s no shortage of ways to tour our beautiful, unexpected city – whether by boat, on foot, double decker bus or, my personal favorite, bicycle. 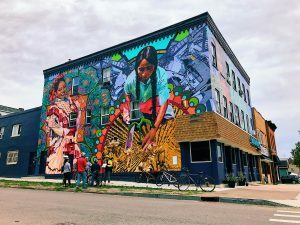 While most tours spotlight Buffalo’s wealth of gorgeous architecture, rich history or delicious food, one brand new bike tour takes a different route, literally and figuratively. 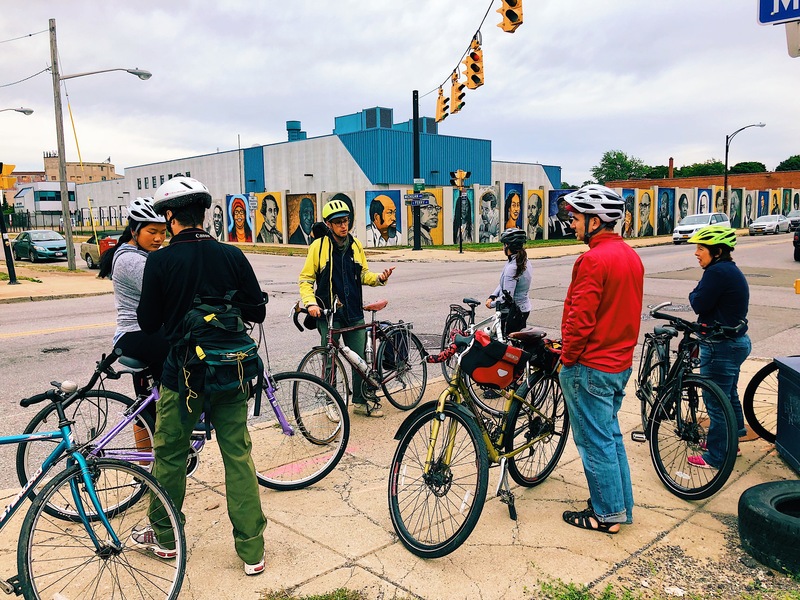 The Buffalo Bike Tours B-Sides Ride offers guests an in-depth look at some of Buffalo’s more obscure, unknown and unsung historical moments. 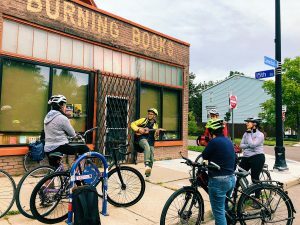 Starting on the West Side in front of the radical book store, Burning Books, tour leader Marc Moscato welcomes guests with an explanation of the tour route in the form of a ukulele-driven song. From there, guests embark on a roughly 8-mile loop of the city stopping at sites that have a story hidden beneath the surface. Riders will learn the tales of Bruce Beyer and the Buffalo 9 at the Unitarian Universalist Church, the civil rights leaders of Buffalo acclaim at The Freedom Wall and Nash House Museum, the darker past of the Calumet Building, and the social activists of Niagara Street – all told with a bit of humor, music and guest participation. But this is only the tip of the iceberg on the B-Sides Ride. To learn even more about Buffalo’s somewhat untold stories, you’ll just have to take the ride for yourself. – Tours are offered for FREE every Saturday and Sunday morning through mid-October (donations encouraged). 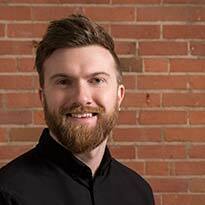 – Tours depart from 420 Connecticut Street at 10:30AM. – Tours are capped at 15 riders. – Bikes are not provided, but Reddy Bike rentals are available for a discount using promo code BSIDES18 on the Social Bikes (SoBi) app. – For families, please note that some mature content is discussed on the tour. – Check out their perfect 5-star reviews on TripAdvisor.